Today: on our 150th Memorial Day, we remember the millions of men who gave their lives for America, so, I wanted to post a description of D-Day, written by David Eisenhower, Eisenhower’s grandson. A book I’m reading now. Not many people know that D-Day almost was a big failure. So much was going against the biggest operation of the troops landing on OMAHA Beach. But, as always, the sheer courage of just a few determined men, turned the tide, and that was the start of the end for the Germans. The supreme test of the D-Day landings came at OMAHA Beach, where the troubles had begun well before H-Hour. Uncertain that naval and air bombardment could reduce the heavy coastal artillery batteries in the area, Bradley had ordered the disembarkation of the 1st and 4th divisions into assault craft eleven miles offshore in choppy seas. As H-Hour approached, the assault forces of the 1st and 29th divisions, showered by sea spray and buffeted by rough seas, were chilled and exhausted. In three -to six-foot seas that swamped the assault boats ferrying the anti-tank guns and jeeps, one battalion of DDE tanks did not attempt to launch. Of the twenty-nine DDs launched in the other battalion, twenty-two sank in the four-foot seas with crews aboard, and five others were destroyed by beach fire. Meanwhile, low cloud cover had prevented effective naval bombardment. Air operations were also ineffective because of the poor visibility and skillful concealment of enemy positions. Planes had to fly under the clouds as low as 2,000 feet and up to 7,000 feet, with another solid layer about that: Low flying pilots could not see shore until a few minutes before crossing it and braved dangerous congestion in the area. Once bombs had been dropped, there was no time for the pilots to see if targets had been hit, and soon the whole shoreline was obscured by smoke. According to the many accounts of the battle, for seven hours the battle at OMAHA was touch and go. Severe shore-battery fire showered the assault during the last half mile before touchdown. A direct hit sank one landing craft in the leading company, a second foundered. The rest went aground on a sandbar several years from the seawall. The 116th waded under heavy fire in five feet of water past the dead dying. One by one, the survivors darted over the open beach to the seawall, the only defense against the fire: many of those who could not make a decision to cross the open space of beach met death at the water’s edge. In the first half hour, hundreds died in the sea or on the beach. The rest clung behind the tanks on the beach or dug in. The noise at OMAHA that morning was said to be so terrible that most could not think or function beyond heeding their instinct to run or hide. For a while it seemed that everything had gone wrong: the air bombardment had missed its targets, the naval shelling had had little effect: most of the DD tanks were lost at sea or destroyed on the beach: the infantry were scattered and badly weakened: the vital demolition crews had been decimated and were unable to clear the beach: the presence of the German 352 division had been unexpected. The report of what appeared to be a disaster came to Bradley. The second, third and fourth assault waves were stacked up behind the first. OMAHA Beach was a scene of disorganization, with most of the troops pinned behind obstacles under enemy fire, surrounded by flaming vehicles, dead and wounded. Hansen could report no progress in scaling the bluffs between the strongpoint where just about then a handful of men under makeshift leadership. Braving enemy fire and mine fields, they had started up the relatively undefended slopes. Indeed, the many accounts of OMAHA would tell of the countless instances of courage under fire, which gradually turned the tide sometime after 11 A.M. So, just a handful of men, changed the course of the fight. Saving Private Ryan told the story of OMAHA. The latest war movie, 12 Strong, also tell how a handful of men defeated the Taliban after 9/11. We need MORE movies like this. The liberals be damned. All of you know how much I have supported President Trump. From the VERY beginning, he said what most of us wanted to hear, and I still support him. After all, Hillary would have been 2,309 times worse. But I’m not a Sycophant, and I must say, after listening to his speech tonight when he announced the continued war in Afghanistan…I was…amazed. Donald J. Trump BECAME, George W. Bush. Every word uttered, every excuse given, was the same we heard from President Bush after 9/11. but with less enthusiasm. Really? Newsflash: Any terrorist can plot against the United States in ANY country in the world. Afghanistan doesn’t have a monopoly on terrorist “planning”. Any terrorist can do that as well in Paris, and they can in Iowa. Hell, they can ‘plan’ an attack in the Cayman Islands and no doubt some of them do. Even his HAIR was slicked back, like his mother slicked it down to make him look like a good boy. So, where was the fire and brimstone? Trump looked defeated. 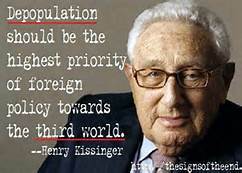 If Trump really did take a look at the reality of the war after getting in the office, then he should have said with great muster, “We are going BACK and we’re going to KICK their asses!” We maybe could have believed that the Bushes, and the Bankers, and the NWO elites of D.C., had not finally taken over his very soul. I guess more the truth is something they will NEVER admit to. This is all about…money and power. I don’t know who that man was on the stage tonight. But, it wasn’t the Donald Trump we all know. Maybe Bannon was right, when he said. So, did they finally find the nail to destroy Trump with, and that’s why he has become the next reincarnation of George W. Bush? And funny, this speech should happen on the great Solar Eclipse of 2017. After the first five minutes, I couldn’t even watch it. If Trump keeps up this new ‘image’ of “I’m pretty bored, and sad about all this, but here it is” attitude, it’s going to be time for plan B. Whatever THAT is. But…maybe he’s just having a bad day: after all, Nobody’s Perfect. I was just thinking: My generation suffered the insanity of the Vietnam War. We never DID get a decent explanation for why so many of our young men were sacrificed there. If it was to prevent communism, as Eisenhower said, then it failed. And isn’t it ironic, that our current leaders of America, most of them grew up and were against the war in Vietnam. No more. 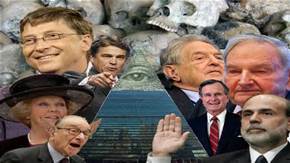 They now make up the globalist elites who are now beating the war drums for Russia. (Clintons, McCain.) And Trump? We now have no clue. Well, as the song says, they are now the Masters…and hearing this song again made me wonder why Bob Dylan got the Nobel Peace Prize. But, let’s not forget our funny side. These made ME laugh. “If tyranny and oppression come to this land, it will be in the guise of fighting a foreign enemy” …James Madison. 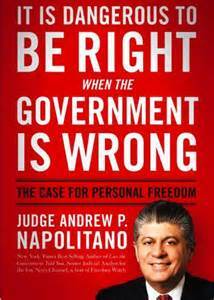 According to the Judge, most of our wars were started by falsehoods from our Presidents. FDR wanted a way to get into the war with Hilter …but he had promised the American people before his election, that he would stay out of it. His plan? Provoke the Japanese navy into killing American sailors. On September 27th 1940, Japan, Germany, and Italy entered into a mutual assistance treaty called the Tripartite Pact. The Pact required the thee nations to come to each other’s aid and protection if one of the others in the Pat was attacked. Germany would then come to Japans assistance. FDR wanted to provoke Japan, and when Admiral James O. Richardson commander in chief of the U.S. Fleet voiced objection, FDR fired him. Keep in mind, two lost cruisers equal the deaths of 1,800 men. Remember that before Pearl Harbor, the U.S. government began marshalling its resources in preparation for a full scale war, including the purchase of $3.5 billion worth of military supplies from automobile plants alone. FDR’s lie to enter World War II was not the first time a president lied to rally support for war, nor will it be the last. 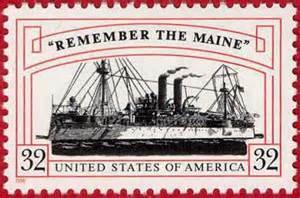 To garner American support for the ‘impending” Spanish American War, President William McKinley touted the sinking of the USS Maine. McKinley claimed a Spanish mine caused the ships destruction, when in reality the ship’s American captain determined that a coal bin explosion was the cause of the Maine’s sinking. 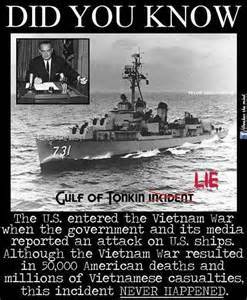 Likewise Lyndon B. Johnson provoked an attack to spark the Vietnam war, The Tonkin Resolution was based on false reports of attacks on naval forces. 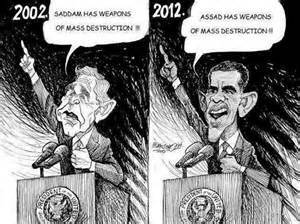 And how can we forget the WMD’s that weren’t in Iraq? The truth is, that the ultimate crisis, that war, is a dear friend of the state. In fact, the government uses war as the ultimate means to expand its own power, size and scope. It pounces on the political opportunity to make a grab of power and to do things it does not have the constitutional power to do. In the World War a mere handful garnered the profits of the conflict. At least 21,00 mew millionaires and billionaires were made in he United States during ht World war. And what is this bill? This bell renders a horrible accounting. Newly place gravestones. Mangled bodies. Shattered minds. Broken heart and homes. Economic instability. Depression and all its attending miseries. Backbreaking taxation for generations and generations. 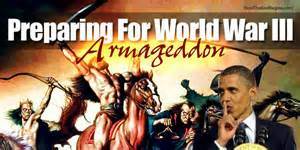 And if you go by history, than Obama is gearing the whole world up for World War III…all the time acting as if he is preventing it. If you buy Obama’s claim on this day, that he is making the world more peaceful today by giving the Iranians the power to keep their nuclear reactors, than I have a castle that John Kerry used to live in that you can have for one hundred dollars. Remember this Time Magazine Cover? Right here at home for the last six years. At least–that’s what will happen if history is repeated. 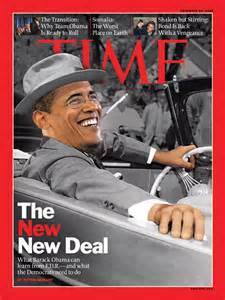 The New Deal, is just the same as the old deal. Last week, I was, like every other ‘legal’ American citizen, in complete shock and awe at the tremendous stupidity of Obama. He let out the top leaders of our enemies, and acted as if it was nothing. Isn’t it surprising—- no isn’t it amazing— that as soon as those leaders were released, a major army of well-armed and trained jihadists flooded into Iraq and took it over as if they had been planning the event for years? SOMEBODY is leading them. Wouldn’t you like to know who? And yet all our leaders act as if this is just a complete surprise. Hillary acted as if–well, we just released hell on Pakistan’s NOT US! And I ask myself: Why isn’t anyone suggesting the obvious elephant in the room, RIGHT in front of our faces, staring at us alike a great big inkblot on a white dress? Sadly, they are as stupid as the media tells them to be. Remember, every single time Obama sent troops into Afghanistan or Iraq he gave EXACT time tables as to when they would come home. Exact. Despite what the media has told us to think, there was a very good reason for this: this was his signal to the jihadist to get ready…to invade Iraq. Obama has been building an army alright, but it’s not an American one. And now, he even admits that’s what he plans to continue to do. BUILD other armies. Think I’m crazy? Who gave the ISIS weapons? Obama. Obama has been supplying the ‘rebels” in Syria. These are the same guys who NOW have flooded over to Iraq with billions of dollars worth of American tax- paid weapons. Hundreds of tanks, missiles, planes, drones, machine guns—- you name it, we gave it to them. 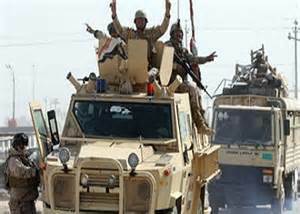 Yes, Obama left Iraq, but left all that heavy weapon stuff there. That was nice of him, wasn’t it? So, what did our leaders do while the world watched Iraq being taking over without a fight? Obama played golf, Hillary pooh- poohed it, and the Bushes? Well. Daddy jumped out of an airplane. I saw that jump so many times last week on cable, I finally had to turn off my TV for sheer boredom. Yes, America, once again, we have been…betrayed. So, why do our leaders invade countries for nebulous reasons, and do such stupid stuff? While we all agonized over the loss of so many precious lives lost in the Middle East, and the trillions of dollars spent to built Iraq: Obama lost it all. And he’s not even sorry. As for myself, I wish that just ONE of them….Hillary, Bush, Obama, Kerry, would seem even a bit emotional at the loss. Their heads are being cut off. These are not just little political mistakes. These political blunders go right up there with the best of them. Mao would be proud. They should all be ashamed beyond comprehension. 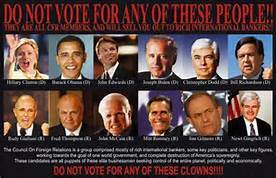 Obama, Hillary, Bush, Kerry, all lived thought the Vietnam war, and yet, they decided to repeat history? Or— don’t they teach that at Harvard? It’s true that the Sunnis and the Shiite’s fight is older than the first crescent moon over Mecca, but I’m not buying the propaganda anymore. Despite drone flights collecting intelligence, and a 3-year ongoing CIA program (here,here, and here) all along the Turkish-Syrian border to “monitor” and “arm” “moderate” militants fighting the Syrian government, the US claims it was caught “by surprise.” If drones and CIA operatives operating in ISIS territory weren’t enough to detect the impending invasion, perhaps the CIA should have just picked up a newspaper. We funded bin Laden. Now we are funding even more dangerous men. In the meantime, they can’t get enough illegal’s here fast enough now can they? Right. When I first started reading about politics, I never believed n conspiracy theories, but now, I think the world is nothing but. 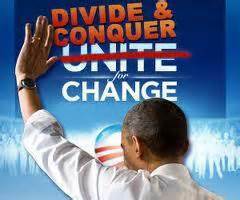 ISIS Fast and Furious is the game with Obama now, and only the global elites know why. I suggest we all stock up on pigs, dogs, and guns. Or, beg Daddy Bush to parachute into Baghdad and finish it. 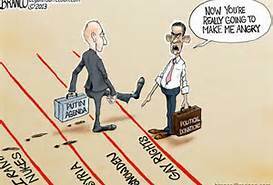 While we all sit and watch Putin invade the Ukraine, with stated plans to overtake other parts of old Russia, Obama makes fluffy speeches. 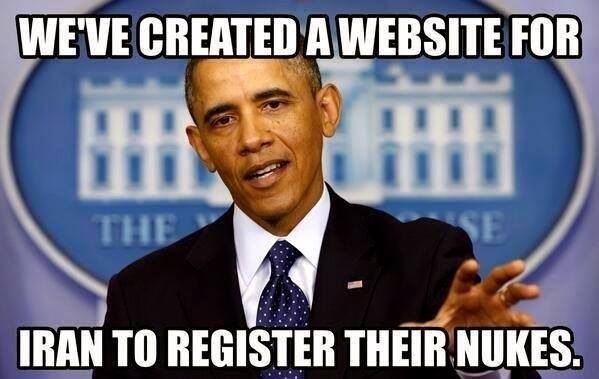 Obama has made it known, Putin can do just about anything he wants. So can Iran. Obama’s new foreign policy is: America is just going to play golf. You guys go ahead and we’ll stay out of it. Is taking America off the world stage going to work? Will the tyrants of the world leave us alone, if we let them take over other countries? According to Dwight D. Eisenhower, it’s a sure recipe for war. And so, Nobody Remembers a speech that Dwight D. Eisenhower gave to the American people on March 29th, 1952, when he was running for President. Eisenhower ran on three issues: Korea, Communism and corruption. He defeated Democrat Adlai Stevenson in a landslide, with an electoral margin of 442 to 89, marking the first Republican return to the White House in 20 years. In the election he also brought with him a Republican majority in the House (by eight votes) and in the Senate (actually a tie, with Nixon providing the majority vote). Below are a few examples from that speech. Eisenhower was one of greatest generals in world history, and reading it will make you wonder..how in the world did America fall so low with Obama? Who, if you listen to Eisenhower, will lead us all into WWIII. “There is a Korean War—and we are fighting it for the simplest of reasons: Because free leadership failed to check and to turn back Communist ambition before it savagely attacked us. The Korean War, more perhaps than any other war in history simply and swiftly followed the collapse of our political defenses. There is no other reason than this. We failed to read and to outwit the totalitarian mind. World War II should have taught us all one lesson. The lesson is this: To vacillate, to hesitate—to appease even by merely betraying unsteady purpose—is to feed a dictator’s appetite for conquest and to invite war itself. That lesson—which should have firmly guided every great decision of our leadership through these later years…was ignored in the development of the administration’s policies for Asia since the end of World War II. Because it was ignored, the record of these policies is a record of appalling failure. Already along the 38th Parallel aggression is speaking with the too familiar voices of howitzers and cannons. our position is untenable and indefensible. The House should be aware of this. These words of eloquent, reasoned warning were spoken about eleven months before the Korean War broke. What a tragedy that the administration shrugged off that so accurate warning! The armies of communism thus informed began their big build-up. Six months later they were ready to strike across the 18th Parallel. They struck on June 25, 1950. On that day, the record of political and diplomatic failure of this administration was completed and sealed. Programs along at least two lines can instantly begin. We can, first, step up the program of training and arming the South Korean forces. We can secondly shape our psychological warfare program into a weapon capable of cracking the Communist front. The vital lesson is this: To vacillate, to appease, to placate is only to invite war–vaster war, bloodier war. In the words of the late Senator Vandenberg, appeasement is not the road to peace: it is only surrender on the installment plan. I will always reject appeasement. I don’t know about you..but that last paragraph is chilling close to the Obama administration. So, if you go by Eisenhower’s convictions: Obama’s handling of our foreign affairs in the world, will lead us all into the bloodiest war every fought. But…nobody reads history anymore…do they? Presidents Can Now Declare War…wo Congress. Obama just gave up our internet control to the world…and here in this video, we witness that according to Obama, he doesn’t need Congress’s permission to send troops anywhere. He believes that if HE, as President thinks we need to go to war, he has a right to send troops. This is of course a blatant disregard of the Constitution. It gives any President full power to do whatever he wants. Watch…and be amazed. This video didn’t get much attention, but what would be keeping us from going into WWIII if Obama decides he wants to show the world he’s really as tough as Putin? He would just do it. Our Congressmen are wimps. It’s like having your two kids fighting…it was a sad day for me. While Michelle stays on the local politics, Alex is busy putting the whole world geopolitics together. From their point of views, both of them are trying to right the wrongs they see before them. Alex was in the wrong that day, and I’m still sad about it. 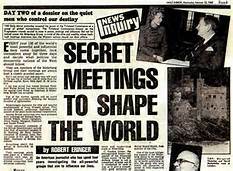 But, back to the Bilderberg group; As you know, the media ignores their meetings, because the most powerful people in the world insists on secrecy, and so, they get it. The solution of today’s problems requires an approach which is ruthlessly candid, with no agonizing over the religious moral or cultural values. You have qualified for this project because of you ability to look at human society with cold objectivity, and yet analyze and discuss your observations and conclusions with others of similar intellectual capacity without a loss of discretion or humility. Such virtues are exercised in your own best interest . Do no deviate from them. Silent weapon technology has evolved from Operations Research a strategic and tactical methodology developed under the military management (Eisenhower) in England during World War II. The original purpose of Operation Research was to study the strategic and tactical problems of air and land defense with the objective of effective use of limited military resources against foreign enemies (I.e., logistics) It was soon recognized by those in positions of power that the same methods might be useful for totally controlling a society. In order to achieve a totally predictable economy, the low class elements of the society must be brought under total control. In order to achieve such conformity, the lower class family unit must be disintegrated by a process of increasing preoccupation and of the parents and the establishment of government operated day care centers for the occupationally orphaned children. Hillary has wanted this for YEARS. It was in her book, “It Takes a Village.” Bush also pushed this, and now Obama is setting up preschools everywhere. If they could get the BABIES they would be even more happy. This isn’t a conspiracy, it’s a fact. They want your kids, period, and Common Core is the final push for their mental takeover. Anyway, it gets into economic shock testing, economic amplifiers, and economic weapons…all researched mathematically at Harvard. 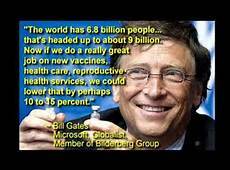 What they did was take science logistics, math, etc, and make a social engineering model. Media: Keep the adult public attention diverted away from the real social issues, and captivated by matter of no real important. Entertainment: Keep the public entertainment below a sixth grade level. Work: Keep the public busy, busy, busy, with no time to think. Detach the child from the mother and father at an earlier age. Conspiracy or not: This IS happening. Okay, you get the drift, pretty much what we see is happening in the news every single day: but, is this a REAL document, or is it a theory devolved by an author who is watching the world, and guessed at what they are doing? And so he said he ‘found’ it in a copier. Obamacare is a quiet holocaust, and a not so quiet war on all of America. Sadly, not all of America realizes it yet. This manifesto was really about how to keep the elites with all the wealth, and the poor stupid, and dependent. Everyone was talking today about how Russia’s leader Vladimir Putin wrote a scathing remark about America in an opinion piece.. The old cold war tensions are starting to blow up again, thanks to BO…and you might think this is the first time Russia has embarrassed the United States, but it’s happened before. 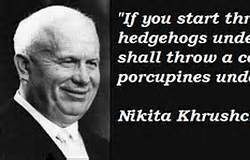 Before Putin, there was Nikita Khrushchev. The U-2 pilot, Francis Gary Powers had left Peshwar, Pakistan, intending to fly over the Soviet Union and land at Bodo, Norway with the intention to photograph Soviet intercontinental ballistic missiles development sites in and around Sverdlovsk and Plesetsk….but he was shot down by a 14 SA-2Guideline surface-to-air missile which brought the plane down. 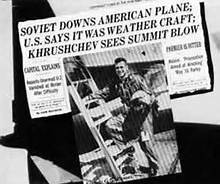 Powers was suppose to destroy the plane and/or himself, but he was captured after he abandoned the aircraft by parachute. The Soviets got the film, and found 7,500 rubles on him. Powers was put on trial for espionage, pleaded guilty (to avoid being executed) and was convicted on August 19. After serving three years hard labor he was exchanged for Soviet spy master Rudolf Abel in 1962. The Paris summit was called off, and Eisenhower, Charles De Gaulle, Harold Macmillan, and Khrushchev. didn’t meet and things got worse. As usual to American politics, a cloak of deniability was quickly fashion for the president to protect him from scandal….of course. 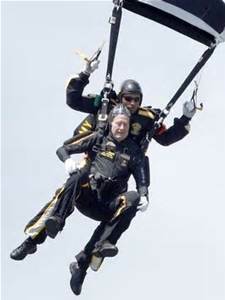 Later on, when asked how high he was flying on May 1, 1960, he often replied, “evidently not high enough.” Many of you do not remember, but Obama lost a valuable spy plane to Iran in 2011. No, there wasn’t a pilot, but gee…nothing like handing over our best technology. Nobody Really remembers that now do they? That was an even bigger blooper than the U-2 taking pictures. Yes, Nobody Remembers so I just thought I’d bring it up. Oh yes, George W. Bush lost a plane in China…but…he at least tried to get it back. Last night, Obama made the pleading case of how hard it was for him to watch children being poisoned, and dying on hospitals floors. He tired to create emotions for the world to respond to the horror of children being gassed. But…Does he forgets the images of Americans jumping to their death on 9/11? And the brave men and women who were crushed to death or died horrible deaths of choking on smoke or burning alive? Were not those images just as horrible? Americans are a little less moved at other people’s suffering. This is not pre-Hitler. This is a new world, where death is seen everyday on our video games, our TV’s and our movies. We have been…hardened. If you watch the 9/11 ceremony, the people are just as emotional today as they were twelve years ago. 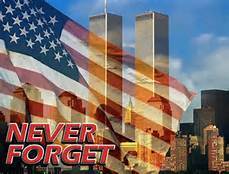 We should remember this day forever, and especially now: And think twice before we arm the same people who did this to us. And go again to stir up a hornets nest of hatred. Nobody Wonders when the wars in the Middle East will be over. If we follow history—-never. We must never forget that Islam, is NOT a peaceful religion.